The useful Pond Construction video helps you to consider the various elements which form a pond and help to guide you along the way, from planning & design to construction & finishing. Of course, if you need any advice regarding pond construction or the equipment required to maintain the pond, please contact our team of friendly experts at Water Garden Ltd.
Multi-purpose expanding foam for watercourses and streams. Use to fill cavities between rocks, directing water down the stream. 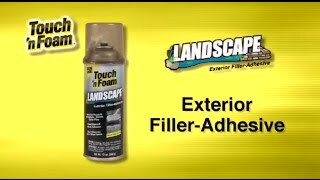 Step-by-step instructional video shows how to pass a rigid pipe through a pond liner and create a seal using the Firestone Universal Pipe Sleeve and QuickPrime Plus. 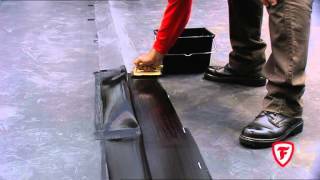 Instructional video shows how to join sheets of pond liner using 75mm wide QuickSeam Splice Tape and QuickPrime Plus. 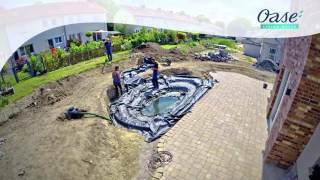 Our pond liners and underlay are easy to install and very durable. Available in many sizes with a 10 year manufacturer warranty. An instructional video showing the building of a pond and watercourse.